WHAT WILL HAPPEN TO THE CANADA IMMIGRATION IN THE NEXT TWO YEARS ? Talking about what will happen to Canada immigration in the next two years, its quite bright. This is because the liberal government is determined towards getting more immigrants into the country as it has announced earlier. Ahmed Hussein is complying with the declaration of the Canadian government to get immigrants to this country. The government of Ahmed Hussein is inviting more economic class immigrants to this country and maintaining the level of immigrants at 3,00,000 per year. Since the government is also welcoming Syrians right now, the question arises whether the immigration will be so high as to, irritate the native Canadian. So, that’s why the government is trying to maintain the balance between the Syrian refugees and those invited through the express entry programs. The annual immigration targets set at 3,00,000 by the Canadian government is the highest ever in the last 100 years. In fact, it has not been so high since the 1910’s when the immigrants coming into the country were 8% of the population. That time, Canada invited 2,60,000 immigrants every year. In fact, in 2018, the number of immigrants which are going to be in Canada is going to increase between 3,10,000-3,20,000. So, immigrants have nothing to be stressed about. However, the number of immigrants is actually, also dependent upon those who are able to meet the rigid criteria of the Express Entry. There are also higher targets set for those getting invited through the Express Entry programs. This number was high in 2016 and is going to be even higher in 2017. The number in 2017 for the federal skilled worker, federal skilled trades, and the Canadian experience class program is 73,700. However, this target is amazingly high for 2018 at 74,900. If we talk about the progress made in accordance with the target set for 2017, the government invited, 86,022 candidates were sent ITA’s. In fact, the target for PNP programs is also high at 55,000 for 2018 and 61,000 for 2019. Quebec has set its own targets for immigrants which are equal to 28,900 for 2018 and 32,500 for 2019. So, life is better for those aspiring for Canadian immigration in the next two years. So, if the government follows these targets then, then massive immigration is going to happen to this country. The decrease in the score in an Express Entry draw is also responsible for the, a higher number of candidates getting ITAs. The Express Entry draw score was at, 413 on 31st May 2017 which was a record low since 2016. So, candidates have high hopes for 2018 which are getting fulfilled so far now. In the last draw which happened on June 13 of this year, the qualifying score was low at 442. This reduction in the express entry score has also happened because the government has gotten the points for a job decreased from 600 to 50. 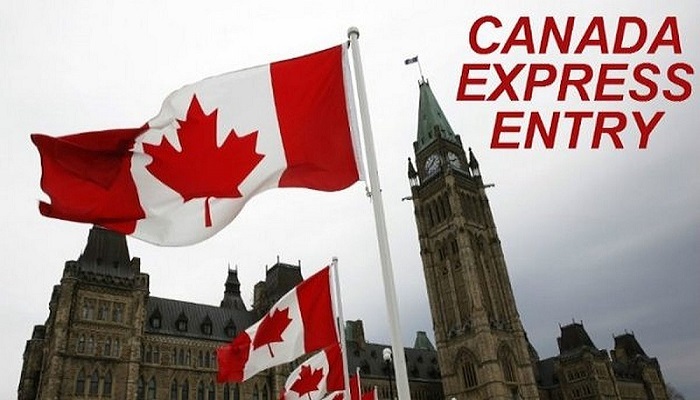 In fact, we are able to predict the trend in the Express Entry score reasonably which has made our clients reach Canada. Don’t Wait 151 years, to Get the US PR. Instead Opt for a PR to Canada. Canada PR Canada express entry, Canada Immigration, Canada PR. permalink.